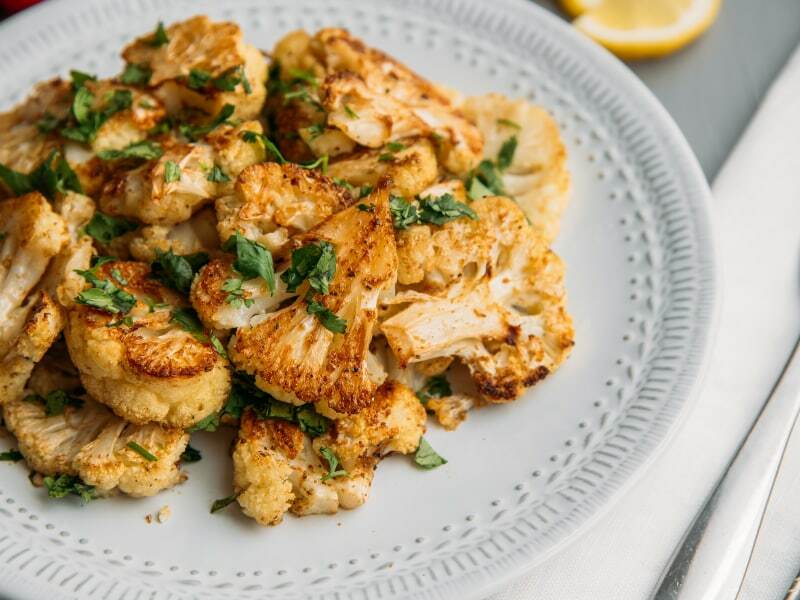 This cauliflower recipe is bursting with so much flavor that it might just become your go-to for a quick side dish. 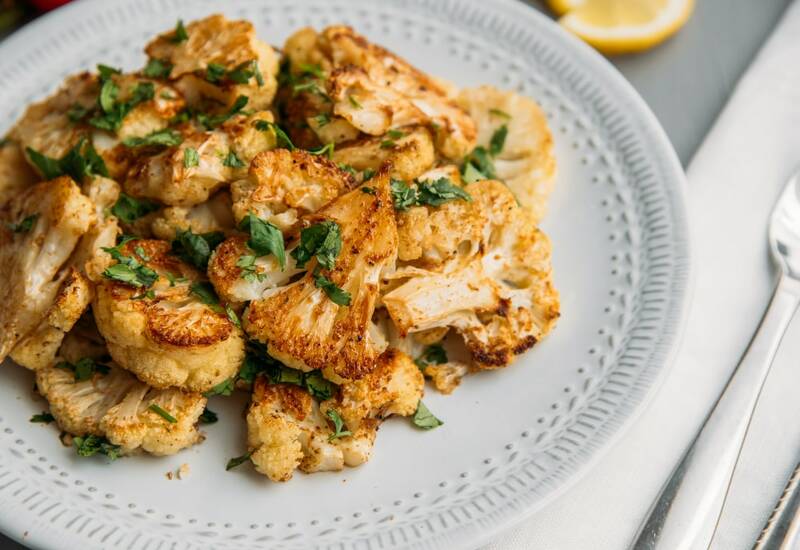 Cauliflower is cut into florets and tossed with olive oil, cumin, salt and pepper. It is roasted until beautifully browned and then finished off with some fresh cilantro and a squeeze of lemon juice. This side dish is ready to enjoy any time of year, but it would also make for a very interesting addition to your Thanksgiving table! The combination of cumin and lemon is thought to aid digestion. Just another reason to sprinkle extra on your veggies and your plate! Try squeezing lime juice instead of the lemon juice. Or use fresh parsley instead of cilantro. Serve this dish alongside your favorite protein, like sautéed tofu or pork, and open a bottle of crisp white wine to wash it down. Per Serving: 131 calories; 11g fat; 7.3g carbohydrates; 3g protein; 0mg cholesterol; 98mg sodium. This recipe is so easy to put together -- just stir together, spread out into a pan, and roast! The flavor from the cumin, lemon, and cilantro really come together nicely with the cauliflower. Will make again! 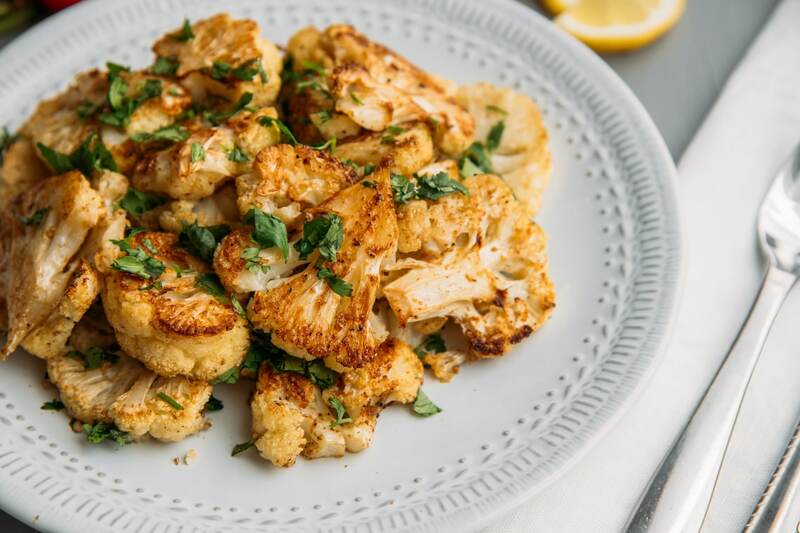 I am learning to love cauliflower, and this cumin-spiced recipe has officially won me over. Really simple, yet flavorful and healthy.